Rudraksha is a type of bead which is made from the fruit seeds of a particular tree, which is mainly found in mountains. In ancient Vedic texts and Hindu mythologies, rudraksha has been mentioned a lot of times. Sages and saints used them as it increases the power to meditate and focus. The benefits of a rudraksha bead changes according to how many faces it has. What is a Seven Face Rudraksha? 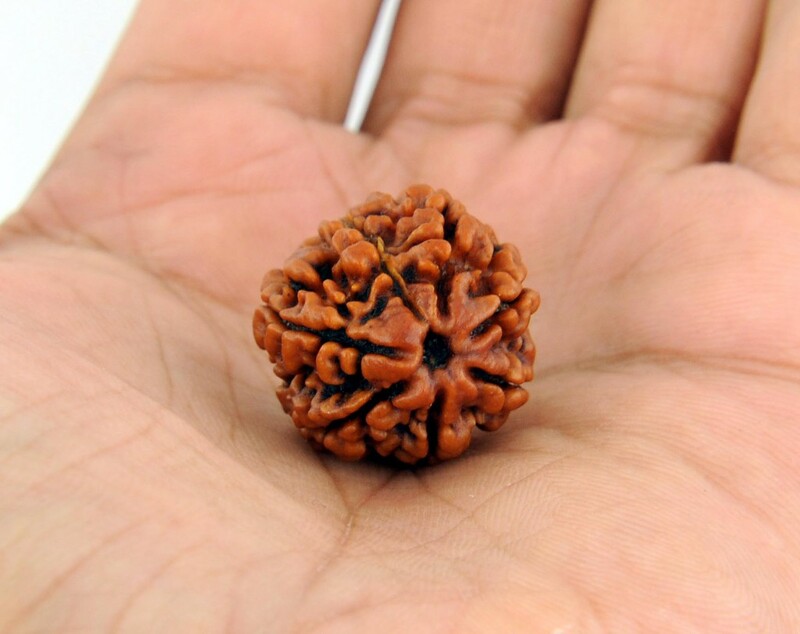 Wearing a sapta mukhi rudraksha can give one the power to remove bad luck from their lives. This is because it has the power and blessings of Goddess Lakshmi who symbolizes power and wealth. She is the deity of purity and wealth. It is said by the astrologers that this type of rudraksha bead is related to planet Venus, which represents love and wealth. It gives power to a person to attain wealth and prosperity. There are seven faces or surface lines in this rudraksha bead, and they represent the seven stars in this Universe which is also known as ‘Saptarshi’ according to Hindu mythology. Rudraksha beads always have some medical benefits and help one to cure various ailments. But different types of rudraksha beads have different types of health benefits. A 7 face rudraksha helps a lot in curing joint and muscle pains. According to astrology, it can cure diseases like arthritis and body pain. In fact, wearer of this bead gets relief from chronic breathing problems and respiratory diseases. It is also beneficial for those who are suffering from stomach and digestion problems. It can cure diabetes keeping in control the blood sugar level in a human body. There are significant changes in a person’s life if they wear this type of rudraksha bead. This brings positive changes in both personal and professional fronts. It also helps one to maintain a perfect balance between both the lives. It is a kind of good fortune who wants to have a career in creative lines. Those who want to be a writer, a singer or a painter, this seven face rudraksha can be booster for them. It brings positiveness in life by removing the ‘Sani Dasha’ from one’s life. This means, it removes all obstacles from life and makes them feel positive about life. It brings bliss in married life and helps them to maintain a relationship successfully. People do not loose cool and can take decisions firmly even in crucial and critical times. Seven face rudraksha is only a type of rudraksha beads. There are many other variations of a rudraksha bead, which brings positive changes in life. Though different types have different kinds of benefits, one needs to know which type of bead suits them before wearing one. It is a good idea to take an advice from astrologers who can tell you which bead to wear. Wear that particular bead which brings the best out of you.